GBI facilitates access to an inexpensive on-campus dormitory-style housing. Rates may differ by the amenities offered. The required compensation must be paid to the housing office, and not to Global Bioethics Initiative. The use of this housing is only possible during the duration of the program. Housing availability starts from June 3rd to August 6th for the Brookdale Residence Hall and 79th Street apartments. NOTE: No staff will be available on July 4th to July 7th, which are national holidays, to help participants check in; summer school participants who want to reside at either housing option will check in on July 8th. 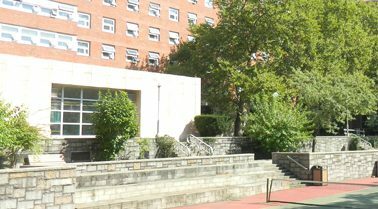 Brookdale Residence Hall is located at 425 E 25th Street New York, NY 10010, providing each resident a comfortable space at a reasonable rate located at a convenient distance from Hunter College. Click here for the map. Type: Rooms provided at Brookdale are non-air-conditioned (however, you can bring your own fan), single occupancy, and furnished rooms. Rooms include a twin bed, dresser, desk, nightstand, and chair. Fans are not provided. Residents share gender-neutral communal bathrooms, kitchens with appliances, and lounges. There is a laundry room in the basement for which participants will be required to load money onto a card to utilize. For more information regarding the Brookdale Residence Hall, please click here. For photos of the space, please click here. Hunter College’s apartments at 79th Street are located at 334 E. 79th Street, New York, NY 10075 and are conveniently one subway stop away from the summer school venue. Type: Apartments at 79th Street are open-floor plan 4-person quads and 3-person triples, with no private bedrooms. Apartments come furnished with twin-XL beds, small dressers, a dining table with chairs, air-condition, heat, TV/Wifi/Cable, bathrooms and a full kitchen with appliances. For photos of the space, please click here. Participants may also choose to make reservations using Airbnb or any private hotel accommodations in New York City. IMPORTANT NOTE: Manhattan is expensive. Given this fact, the on-campus accommodations mentioned above have been judiciously selected and offer reasonable prices.